Phnom Penh (FN), Sept. 13 - Radio Free Asia (RFA) is conducting 5-days poll on Facebook to learn from approximately 60,000 of their supporters’ perspectives on the newly established Royal Government of Cambodia. As of 13 September 2018, about 89% of participating voters voted "recognized the new Cambodian government" on RFA's poll, while only 11% not recognized. Former president of Khmer Power Party President Sourn Serey Ratha, on Thursday, sent an open letter to RFA urging her to accept the result and publish the poll. 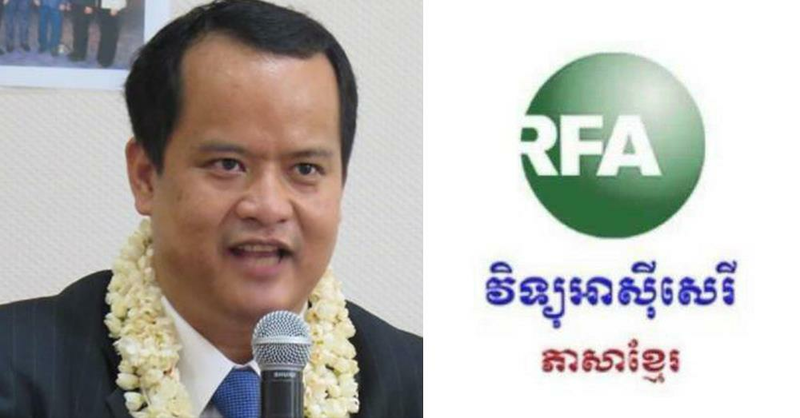 Ratha also urged RFA to translate to English and send to Board of Governor; otherwise, Ratha would consider RFA not professional nor independent. So far, the new government led by Prime Minister Hun Sen is welcomed by most Cambodian people nationwide. Leaders of major countries, such as China, Russia, Japan, Germany, Korea, ASEAN, and other countries in Asia and Europe also sent congratulatory letters to Samdech Hun Sen for his reappointment of the Prime Minister of the Kingdom of Cambodia.